I reviewed Gemini Saga a few months ago and gave it a glowing review. 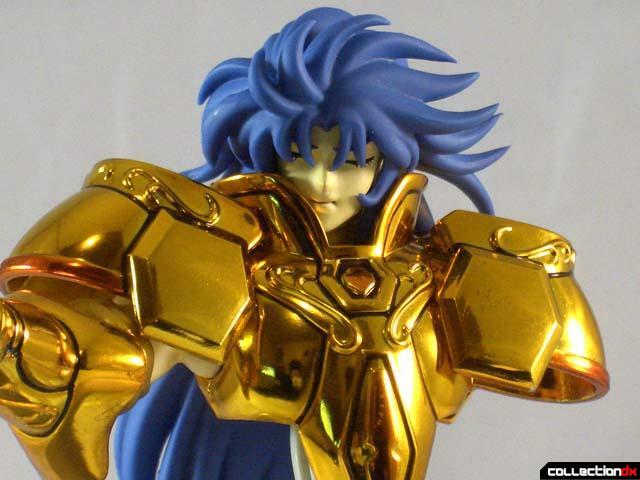 It was/is a very impressive collectible in the Saint Cloth Myth line. 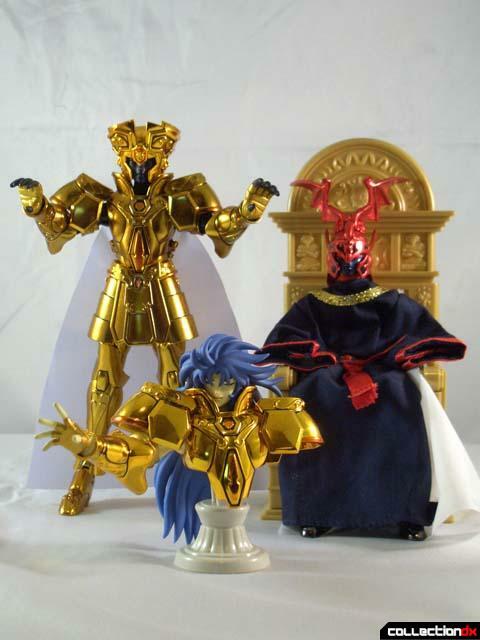 Loaded with accessories and including not one but two characters, evil Pope Aries and Gemini Saga himself. I really did not think Bandai left anything out in the set and this Appendix release does not really change my mind. 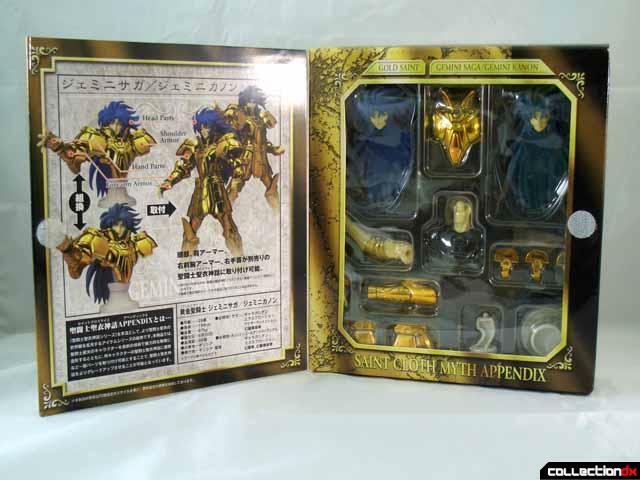 An Appendix in the Saint Cloth Myth line, for those just joining us is meant to provide supplemental parts for existing releases in the series. While providing extra parts and pieces they also perform double duty as a mini bust to put on display, generally with the character in a signature move of some sort. 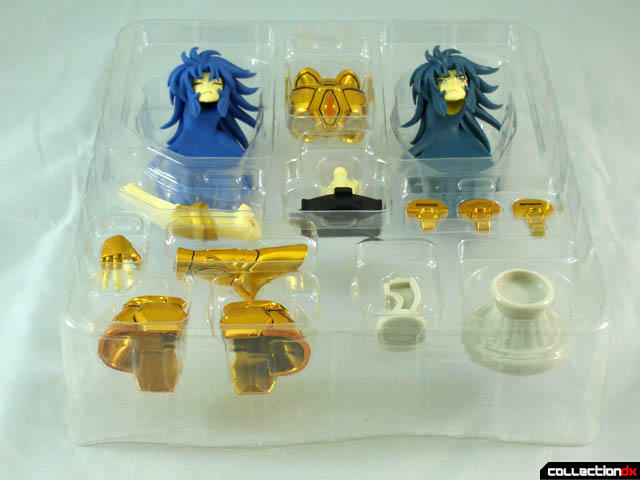 The only thing this set offers in the way of alternate parts that can be used with the existing Gemini release is a set of alternate heads. One is Saga with eyes closed and one is his twin brother Kannon, who replaces Saga as the Gemini Gold Saint after Saga sacrifices himself. The head sculpts are excellent but no better or worse than the existing heads that come with the original release but they do give you more options for display, a plus for fans of the series, not much for those who are not. As a mini bust it works well, capturing Gemini’s “Another Dimension” attack and giving you something else shiny for the shelf. 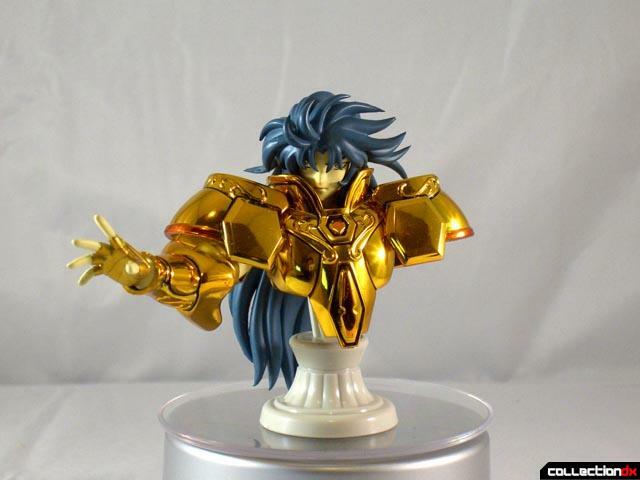 I’d say that for fans of the line and series you might want to grab one if you own the full Gemini Saga release, for everyone else it’s a pass unless you have an obsession with mini busts. If you do want your own Saga/Kannon Appendix you can get yours at Angolz.com.